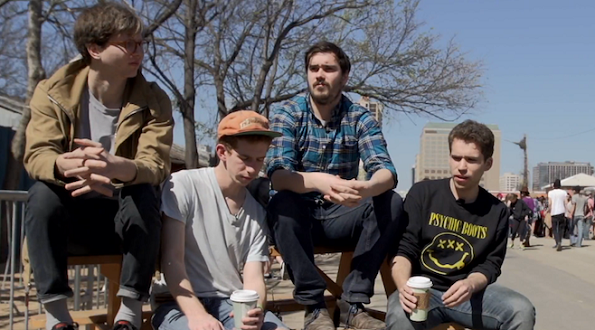 Upon the release of their first “official” album, Light Up Gold, in January 2013, Parquet Courts planed their groove into the world of indie music with their Texas-influenced, New York-based brand of punk rock. Not wanting to leave their fans salivating for too long, the four regular guys who make astonishing music and write unforgettable lyrics released a five-song EP in early-October titled Tally All The Things That You Broke. Speaking of salivating fans, Parquet Courts is coming to Cali, and they’ll be playing Great American Music Hall, along with a performance by White Fence, on Thursday, January 16th. For your chance to win, email contests@theowlmag.com with your full name in the body and “Parquet Courts @ GAMH, SF” in the subject line. Good luck! If you’re not feeling lucky, tickets can be purchased HERE.